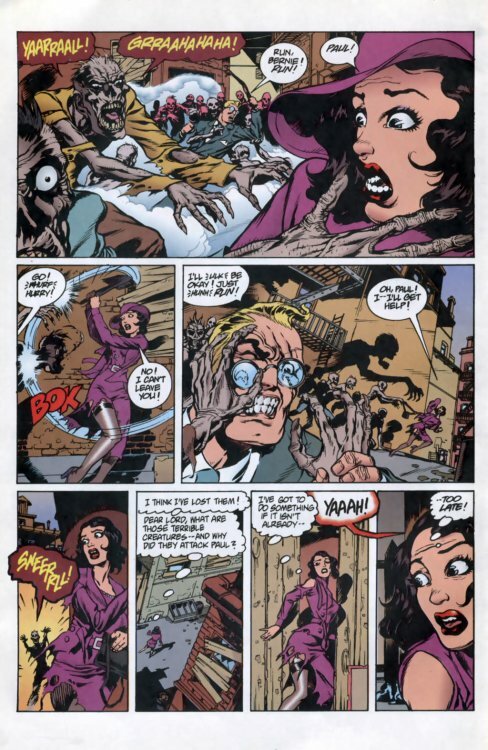 ..combining the two greatest heroes of the 1930s in a horror-themed story just right for the Halloween season! 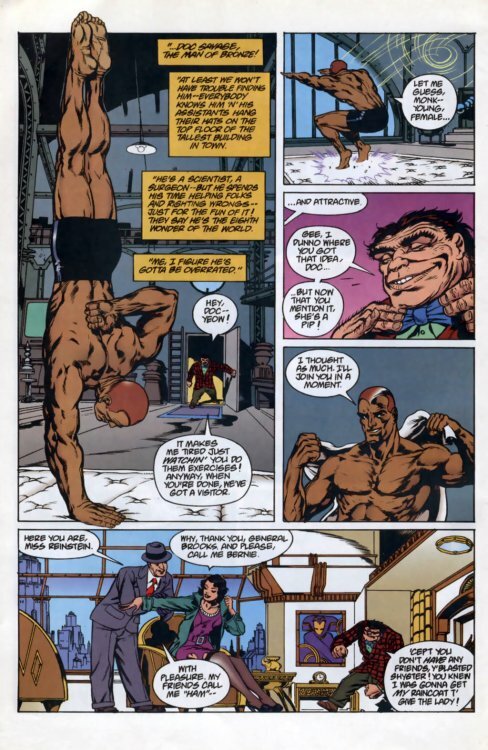 And who would know more about shadows...than Lamont Cranston? 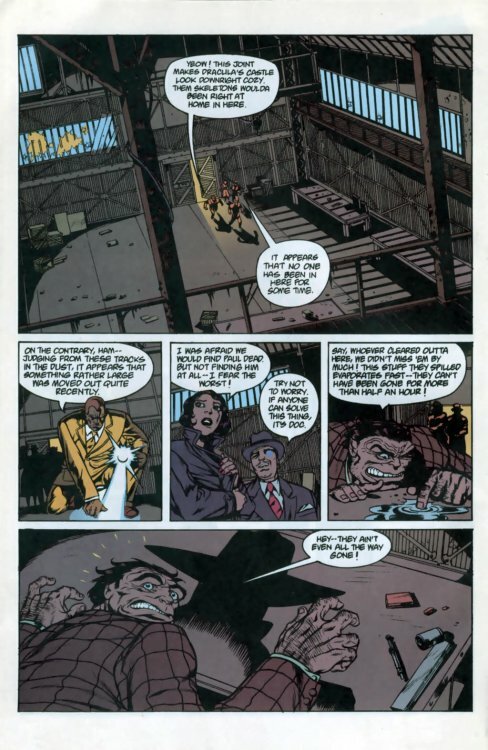 The tale continues tomorrow, at our "brother" blog Crime & Punishment™! 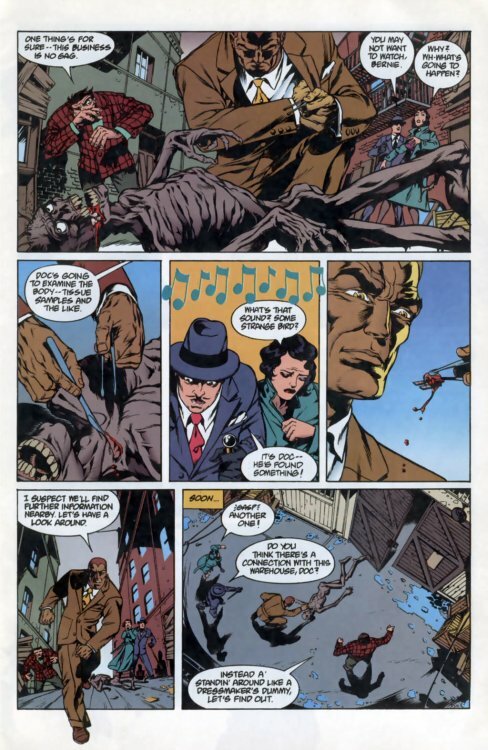 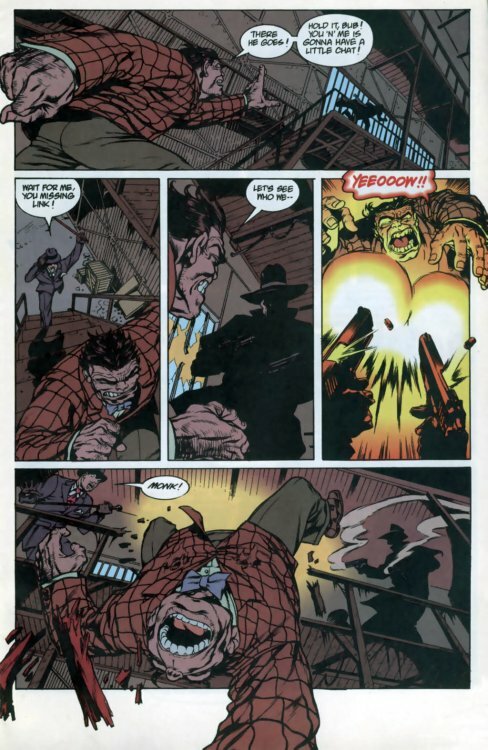 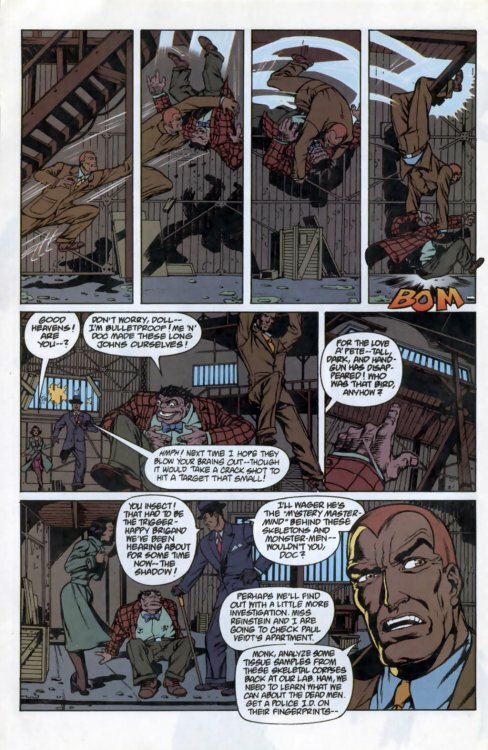 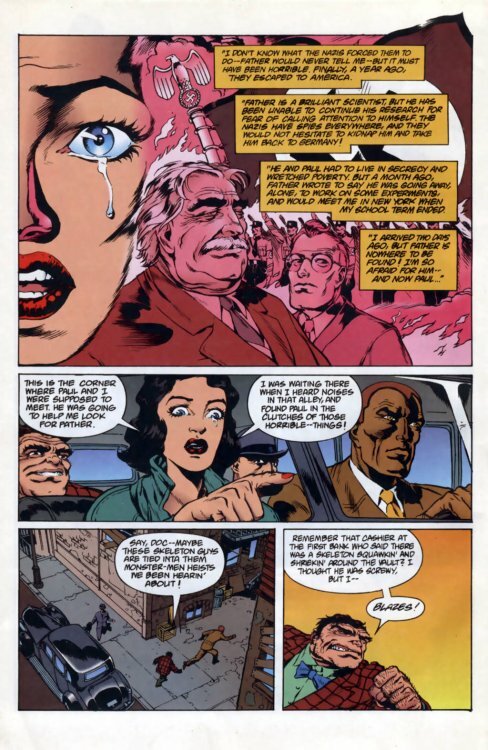 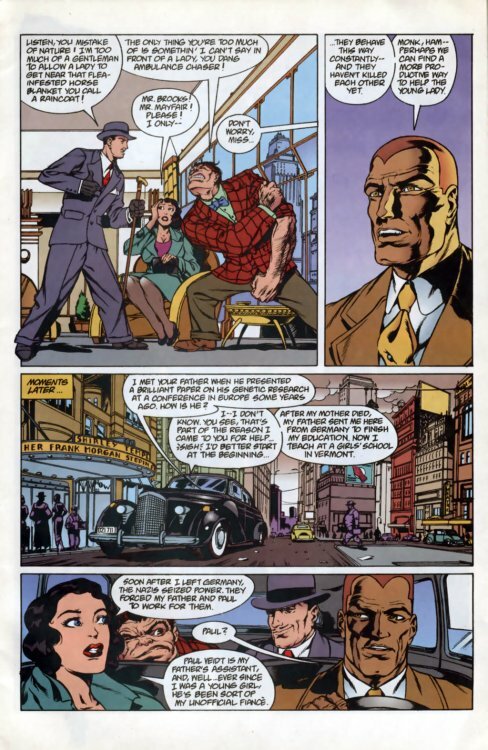 This never-reprinted tale from Dark Horse's The Shadow & Doc Savage #1 (1995) came out just as the ill-fated Shadow movie starring Alec Baldwin hit movie theaters. 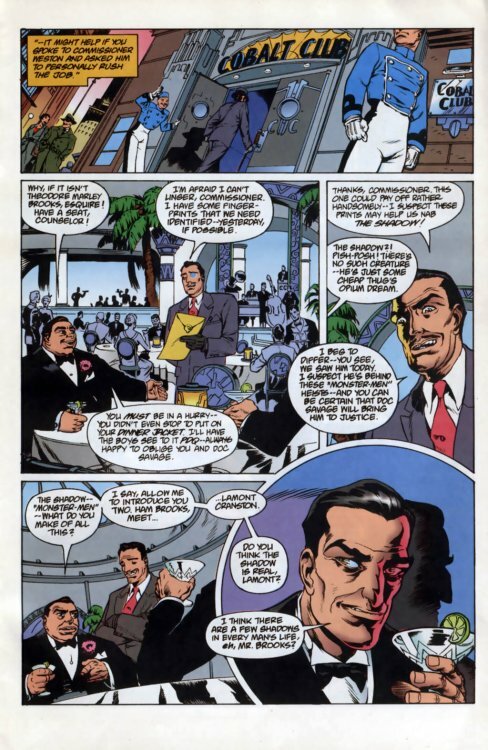 Written by Steve Vance, penciled by Stan Manoukian, and inked by Vince Roucher, it's actually a pretty good combo of the two series' characters and storytelling styles.